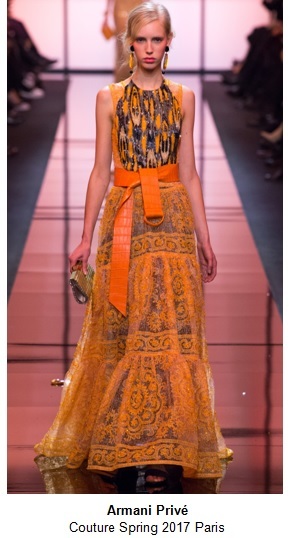 Armani Prive's sunset-hued collection included this gown with a wide leather belt worn tied at the waist. Nearly every look at Chanel featured a belt worn slightly higher than the natural waistline- even on this art deco feathered gown. The empire waist effect highlights the full skirt. 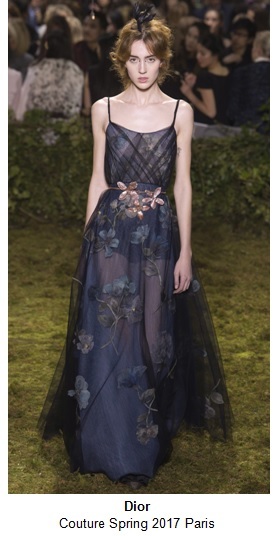 Dior continued the collection's garden theme in the accessories with belts in all shapes of flora and fauna. 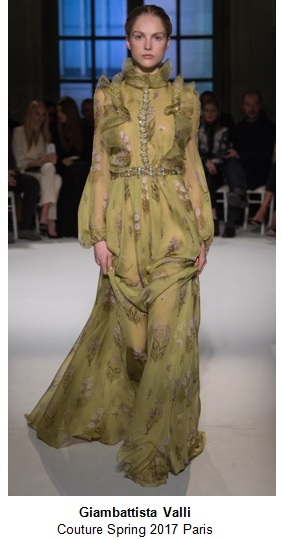 Elie Saab's golden rope belt was used to beautifully cinch in a flowing embroidered gown. At Alberta Ferretti, belts with matching brooches added to the monochromatic cool factor of several evening looks. Presented as a form of body jewelry, the glistening belt at Giambattista Valli also slithered up the torso, elevating a covered up chiffon gown. Alexis Mabille's white lace dress had a jewel-lined bustier which was mirrored on the clasp of the matching belt. 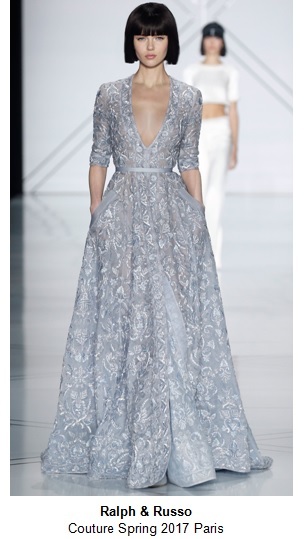 Ralph & Russo showed a classic silhouette with casual elements: pockets and a thin belt. When styled with a modern bob, the look was very chic. Schiaparelli's bright red belt added a pop of color to tie in the jacket and provide hip styling to the shimmering gold pleated gown. 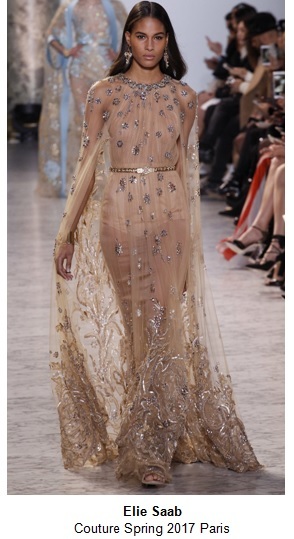 Zuhair Murad also showed many red-carpet-ready designs featuring belts. This one is sparkling and studded to add to the overall dazzling effect of the intricately beaded dress. Notice the absence of jewelry in the styling of most of these. Not much else is needed if you have a belt on an evening look! 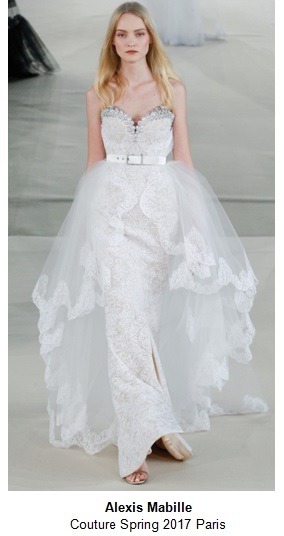 Adding a belt to an otherwise opulent gown can definitely modernize the effect. The cinched waist is also a bit of silhouette manipulation that is tried-and-true for accentuating the body. What do you think of this bit of downtown styling to the traditional ballgown? I think we'll be seeing some of this trend on the red carpet throughout the rest of awards season.